At 5’2” Caroline Jhingory weighed 273 pounds—in the eighth grade. Her classmates gave her nicknames like “Free Willy” or “Sumo” (as in the Japanese wrestler). Oftentimes, she would misbehave during class in hopes of getting suspended or pretend to be sick, just so she wouldn’t have to go to school. Her parents tried everything to manage her weight. 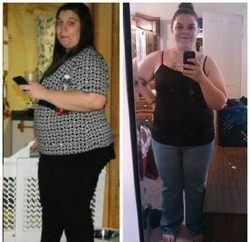 They put Caroline in dance and exercise classes, enrolled her in a pediatric medical weight loss program, and stocked the kitchen with healthy food. But she thwarted all their attempts. She binged on leftovers in the middle of the night. She swapped stickers and glow-in-the-dark pencils with her classmates for junk food. Eating was her coping mechanism for dealing with the absence of her biological father and the death of two cousins during junior high. While some people turn to alcohol or drugs, her addiction came in the form of microwave pizzas and Pillsbury toaster strudels. As a college student, Caroline decided she had had enough. 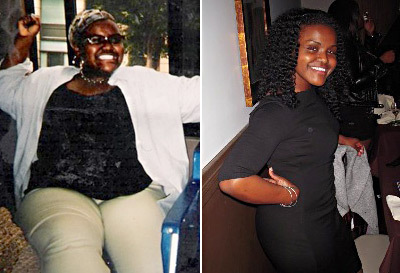 Fed up with wearing girdles to fit into certain outfits and going unnoticed by guys, she was ready to lose weight. The government employee started taking walks in hilly areas aroundWashington,D.C.Then she joined a gym and worked with a trainer for 2 months, learning how to properly use equipment. 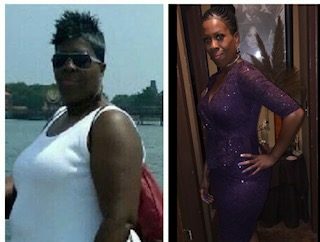 She ran on the elliptical machine 45 to 60 minutes, 6 days a week and lifted weights every other day. Now she spends an hour each day on the treadmill. Her routine: an arm-swinging, high-incline speed walk. She also pairs her workout regimen with low-carb recipes found online and limits her intake of “white foods”—products that contain flour, sugar, dairy, bread, rice, pasta or potatoes. She craves excessive amounts of cheese and chocolate—her “kryptonite foods”—when she’s stressed. But she relies on prayer and exercise to resist giving in. 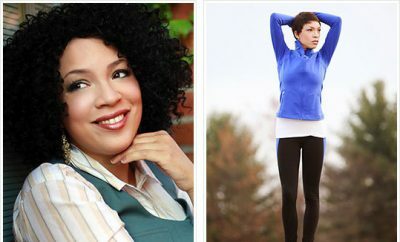 Before she visits the vending machine, she hits the gym or takes a walk outside. When Caroline runs into old classmates who called her names, it takes them about 10 minutes to recognize her.